Most singers discover their voice early in life. I had a college degree before I found mine. Three weeks after graduating from college, I moved to Los Angeles with my Music Business degree in tow and my dreams in sight through my rose-colored glasses. The goal: get a day gig on the business side of the industry, and work at night as a songwriter/producer for up-and-coming R&B singers. If you would have asked me then if I sang, I’d have laughed in your face. Yet, there I was a year and a half later, dusting off my mic and turning up the auto-tune to lay down song ideas. After dozens of networking events, conferences and meet-and-greets, I was at a fork in the road: the talented singers I found were either flaky, out-of-reach, or our styles didn’t quite gel; meanwhile, the untalented ones in search of “fame and fortune” couldn’t take a hint that I wasn’t interested in manufacturing pop stars. Since you can’t be a working songwriter without any songs recorded, I bit the bullet and went to work. It was a bit of a rough start (especially since I studied music, not voice), but I was slowly getting the hang of it. A few months after I released my first mixtape in 2010, I get a phone call from a buddy of mine, asking if I had a song on the radio. He shouted off some lyrics to me and told me to look them up because the guy sounded just like me, so I did. The song? “Find Your Love” by Drake. No disrespect to Drizzy, but that’s not what I was going for. 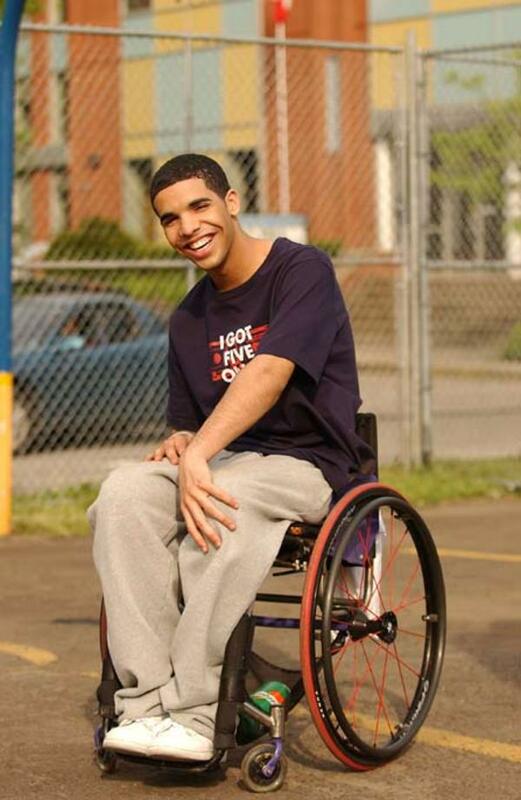 So, a few months after releasing my second mixtape, and more comparisons to Wheelchair Jimmy, I got a vocal coach. Larry taught me the basics of singing, proper breathing techniques and more, but the most important thing he helped me discover was my voice. You can imitate and borrow techniques from those vocalists you admire, but to really be a singer is to find the voice God gave YOU. I soaked it all in, especially coming from a teacher who can sing like this without even breaking a sweat… I’ve seen it in person. I mean seriously, it’s like audible Jesus. So what do I go and do with all of this knowledge bestowed upon me? I tried to pack years of training and practice into weeks, and I bruised my vocal chords. With this new milestone, I was sidelined for six months, forced into a diet void of flavor, and spent all of 2012 and most of 2013 with a constant sore throat. Lesson? Read The Tortoise and The Hare, and apply the principle of patience into your life. Nevertheless, I took the foundation of Larry’s teaching and continued to work through my self-inflicted vocal injury while growing as a writer. Worked with a few more singers, but since my songs were more James Taylor than Justin Timberlake, nothing really stuck… and it seemed like the writings were on the wall: I was supposed to sing these songs. Fast forward to today, and I have two recording projects of original material on iTunes. It’s still super awkward because I’ve only been at it for about 5 years (two of which were spent on the bench), and while I absolutely love the creative process of writing and recording, I have absolutely NO desire to pursue the life of a “recording artist”. Schmoozing, label politics, touring, lack of sleep and lack of privacy all make me itch. Yet, there’s a level of it that I have to deal with in order for people to actually know the music exists. I’m still working on the efficiency of most listens versus least recognition, but I digress. If you feel like you’re called to be a singer, roll up your sleeves and get to work. It takes time, dedication and patience. You may get side-tracked, you will hear the word “no” quite a bit. Stick with it. There is no one way to “become” a singer: some start in church, some are born with it, and some find it at the age of 23 while trying to be a writer.